These chocolate coconut bakery-worthy cupcakes are extremely moist, simple to make and taste devine! 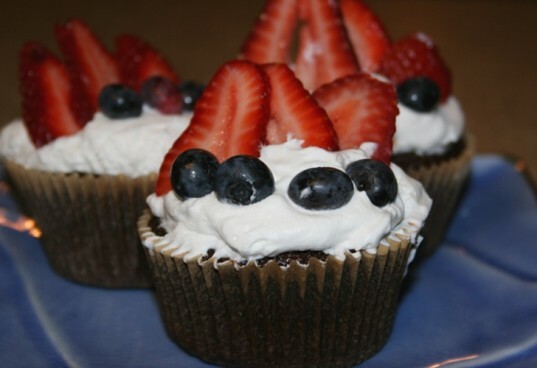 The red, white and blue topping of fruit and whip cream make them perfect for your 4th of July party, but these cupcakes are yummy plain. Keep reading to learn how to make this scrumptious cupcake recipe and find printable one-page instructions here. 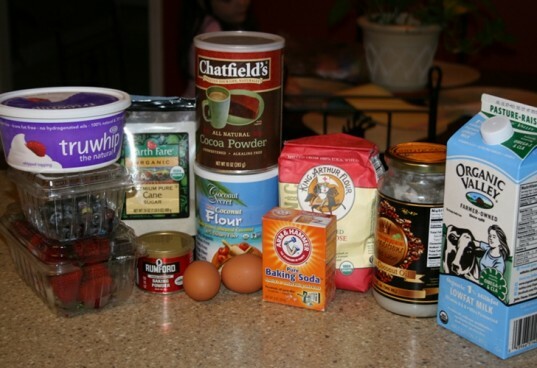 In a large bowl, combine flours, sugar, cocoa, baking soda, baking powder, and salt. In a mixing bowl, beat eggs, milk, coconut oil. 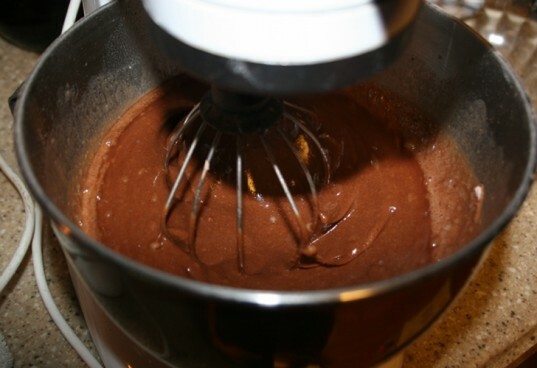 In the mixer, using a spoon slowly add the dry ingredients slowly to the wet ingredients. Do not pour the dry ingredients in. Boil the 1 cup water and then slowly add to the mixture and beat on speed 2. The coconut oil will now melt into the mix. Pour mixture into cupcake liners filling 3/4 of the way. I find it easier to pour batter in a large (glass since mixture is warm) measuring cup with a spout and then pour into the liners. Bake for 25-30 minutes at 350. After cupcakes have cooled completely add the whip cream and fruit. Be sure to keep cool and eat immediately to prevent melting. 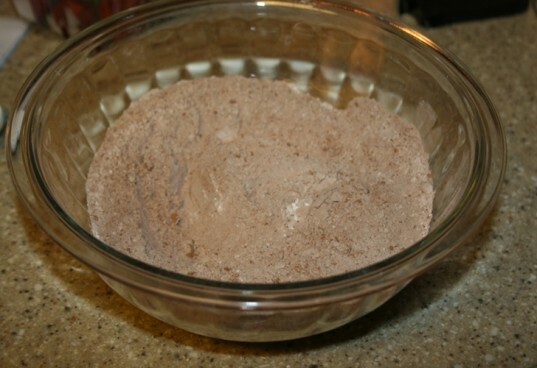 In a large bowl, combine flours, sugar, cocoa, baking soda, baking powder, and salt. In a mixing bowl, beat eggs, milk, coconut oil. 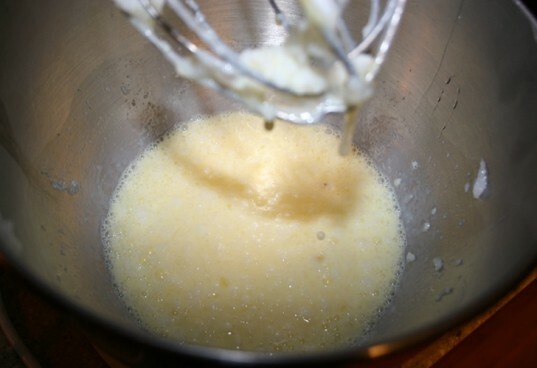 In the mixer, using a spoon slowly add the dry ingredients slowly to the wet ingredients. Do not pour the dry ingredients in. Boil the 1 cup of water. Slowly add the boiling water to the mixture and beat on speed 2. The coconut oil will now melt into the mix. Pour mixture into cupcake liners filling 3/4 of the way. I find it easier to pour batter in a large (glass since mixture is warm) measuring cup with a spout and then pour into the liners. Bake for 25-30 minutes at 350. After cupcakes have cooled completely add the whip cream and fruit. Be sure to keep cool and eat immediately to prevent melting. Boil the 1 cup water then slowly add to the mixture and beat on speed 2. The coconut oil will now melt into the mix. 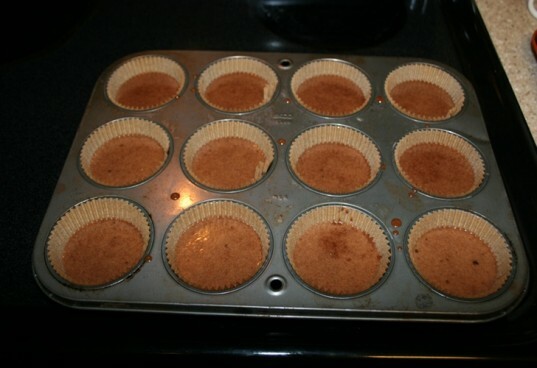 Pour mixture into cupcake liners filling 3/4 of the way. I find it easier to pour batter in a large (glass since mixture is warm) measuring cup with a spout and then pour into the liners. Bake for 25-30 minutes at 350. 1 1/2 cup organic all purpose flour 1/4 cup organic coconut flour 2 cups organic cane sugar 3/4 cup cocoa powder 1 teaspoon baking soda 1 teaspoon aluminum free baking powder 1 teaspoon sea salt 2 organic cage free eggs 1 cup organic milk 1/2 cup organic coconut oil 1 cup boiling water organic blueberries organic strawberries natural whip cream In a large bowl, combine flours, sugar, cocoa, baking soda, baking powder, and salt. In a mixing bowl, beat eggs, milk, coconut oil. 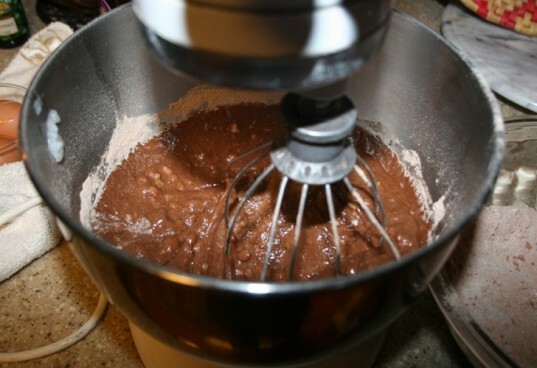 In the mixer, using a spoon slowly add the dry ingredients slowly to the wet ingredients. Do not pour the dry ingredients in. Boil the 1 cup of water. Slowly add the boiling water to the mixture and beat on speed 2. The coconut oil will now melt into the mix. Pour mixture into cupcake liners filling 3/4 of the way. I find it easier to pour batter in a large (glass since mixture is warm) measuring cup with a spout and then pour into the liners. Bake for 25-30 minutes at 350. After cupcakes have cooled completely add the whip cream and fruit. Be sure to keep cool and eat immediately to prevent melting.